HAPPY HALLOWEEN! It's that time of year again when you can dress as slutty or scary as you want and get away with it! haha. 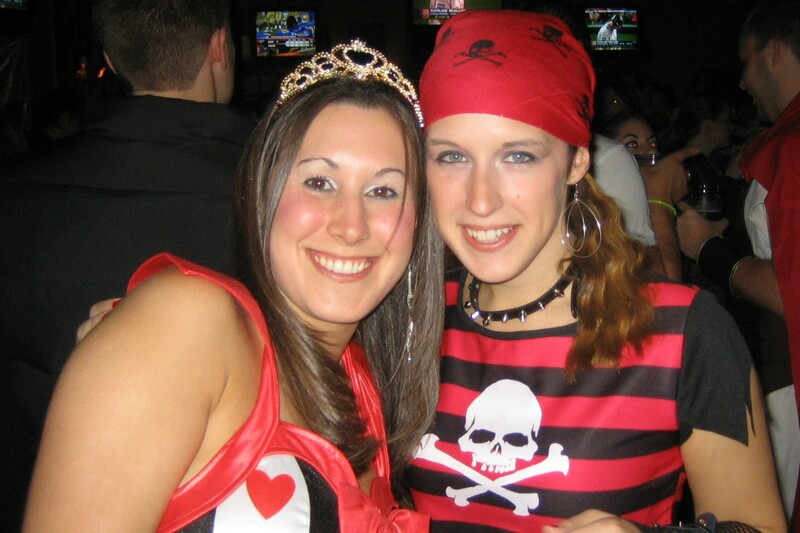 Seriously, have you ever been to a college bar during Halloween weekend?! That's all I'm gonna say about that. I like Halloween for many reasons-dressing up, seeing the neighborhood kids dressed up, handing out candy, scary movies, dressing up the pups (did you see them on twitter last night? here and here)among many other reasons. Last night was Trick or Treat in my area and I loved sitting outside checking out all the cute and strange costumes and putting bags of chips into their tiny little pumpkin buckets. Seeing how excited these kids got instantly took me back to when I was a child and teenager. Although when I was a teenager I didn't Trick or Treat-I walked around in a bright orange shirt with a bunch of other friends keeping a watch on the little kids. It was a team through high school called "Witch Watch". To celebrate Halloween I wanted to share with you some pics of me dressed up in years past. 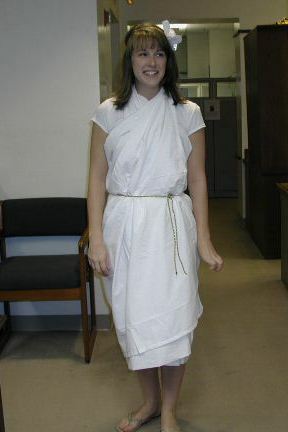 I looked everywhere for this one picture of me in my favorite costume but came up empty handed. It was a teal genie costume my mother had made for me from scratch when I was in 6th grade. It was pants and a vest and she even edged the vest with this gold trim. I loved it and I'm hoping we still have it somewhere at the house. 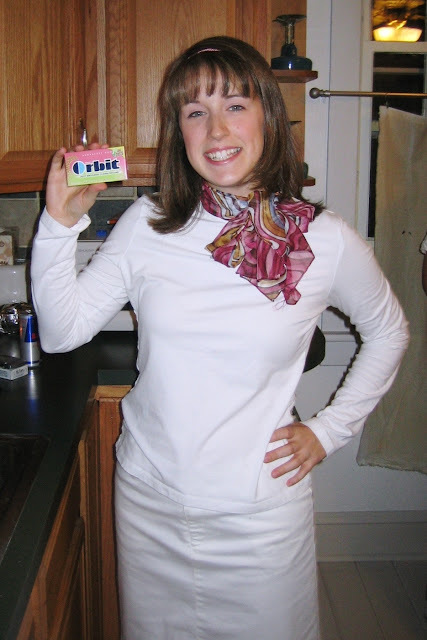 Yes I was the Orbit girl from the gum commercials. All night I went around saying- "Fabulous" and "Dirty mouth? Clean it up!" in the girls accent. It was too funny. Star and I many years ago when I worked at a local pet store. I was allowed to bring my pup to work, so for Halloween we were devils together :) Yes, I'm a dork! This year I won't be dressing up at all. Instead my best friend and I are going to be screaming our brains out at the Eastern State Penitentiary attraction-Terror Behind the Walls. Even though I know I'll be scared, I'm actually really excited for it. And I can't wait to spend the weekend with my best friend! What will you be doing this weekend? Are you dressing up? 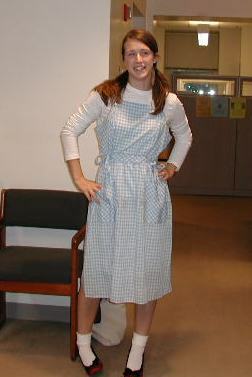 Please share with me what you're going to dress up as-I love hearing what others dress up as. I hope you all have a wonderful and safe weekend! Incase you can't tell by the costumes-top to bottom- Pirate, Superwoman, Dorthy (for work), Greek goddess (for work), Oldies girl (for work), Orbit girl, devil. Is that hay in your house???? :) Awesome. 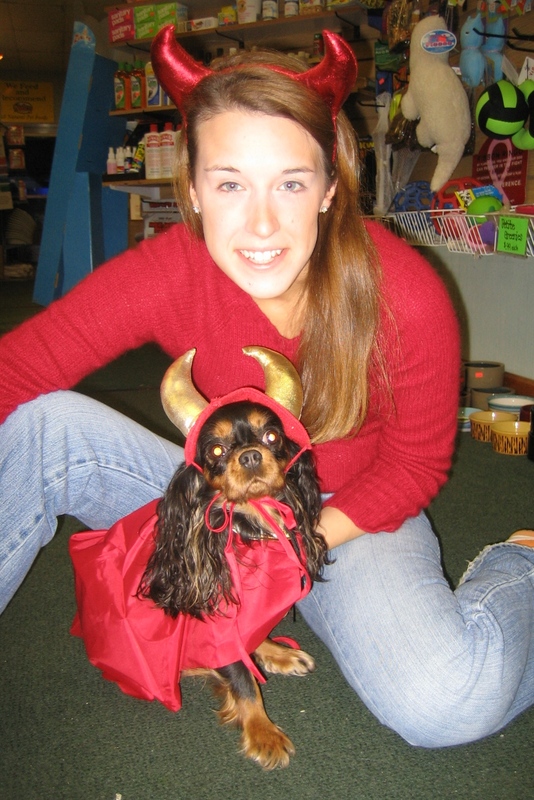 That devil costume with your puppy is so sweet! I've tagged you for a scavenger hunt, visit to see what I'm talking about!